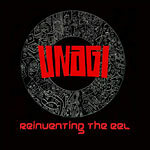 Rising producer Unagi (which means Eel in Japanese) drops his latest release Reinventing The Eel! His last project, the You and Eye EP, paired him with Chicago emcee Infinito, and introduced us to his signature throw back funk and soul inspired boom bap! Here we get that sound and more, with instrumentals and guest appearances by Motion Man, Infinito, Eddie Meeks and more.